Jalili, R., Aboutalebi, S., Esrafilzadeh, D., Konstantinov, K., Razal, J. M., Moulton, S. E. & Wallace, G. G. (2014). 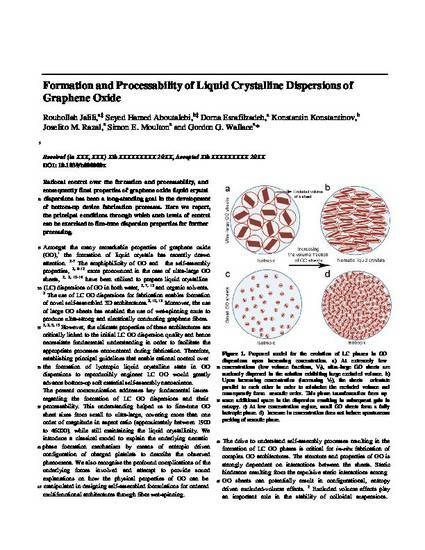 Formation and processability of liquid crystalline dispersion graphene oxide. Materials Horizons, 1 (1), 87-91.